Take a cardboard or a pieces of paper. 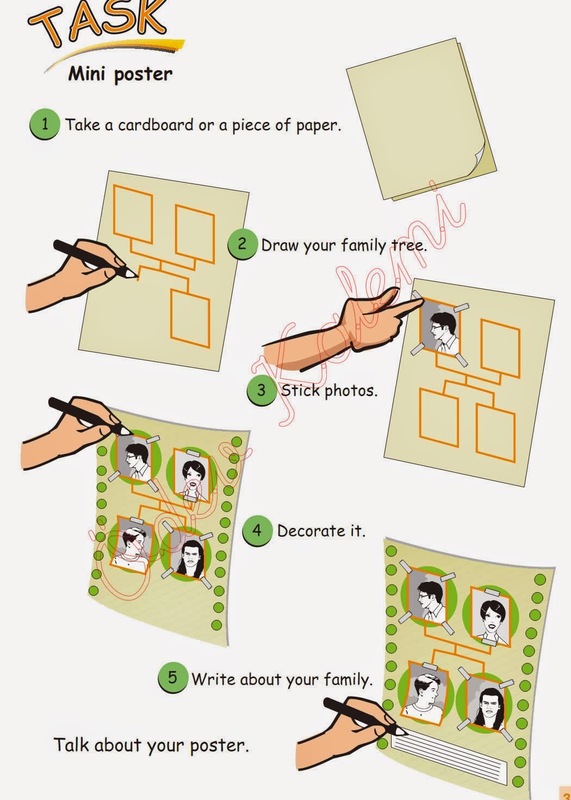 Draw your family tree. stick photos. decorate it.